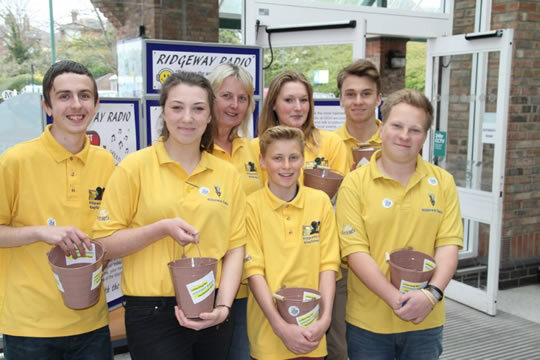 Through hard work and gentle persuasion, the Ridgeway Radio Fundraisers collected the grand total of £672 with the kind help of Morrisons in Weymouth over two days on Friday May 1 and Saturday May 2. The intention was to raise enough money to buy the fifth computer for the studio. We raised enough for two! The promotion had the backing of BBC Radio Solent (John was the studio guest on the “Dorset Lives” feature at breakfast), the Dorset Echo and View from Weymouth as well as a mention on Wessex FM.